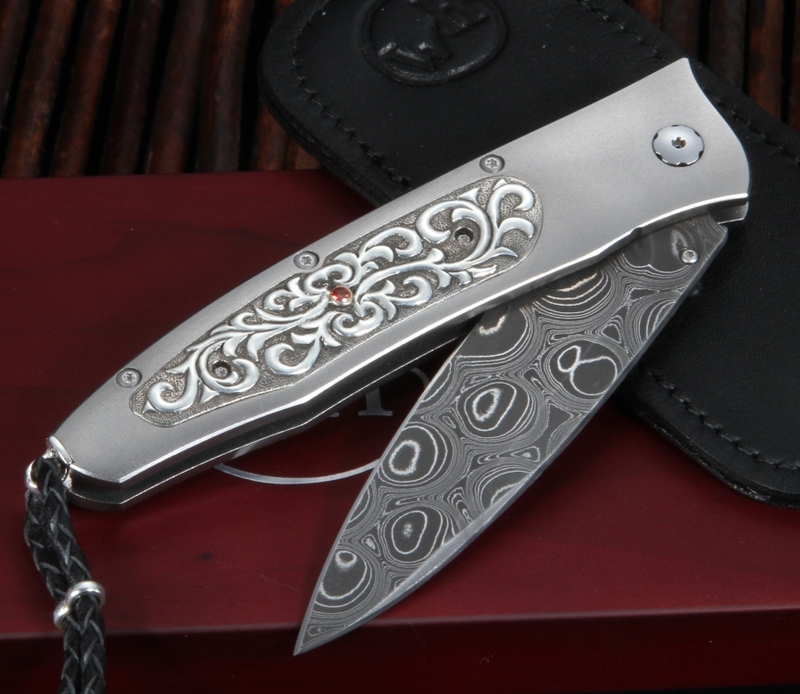 William Henry Studios produce luxury folding knives second to none in form, function, and style. Like all truly fine craftsmanship, the elegance of the blades produced by William Henry sacrifice nothing of quality or durability to achieve that elegance and are in fact a seamless joining of all the aspects that make a truly fine blade. 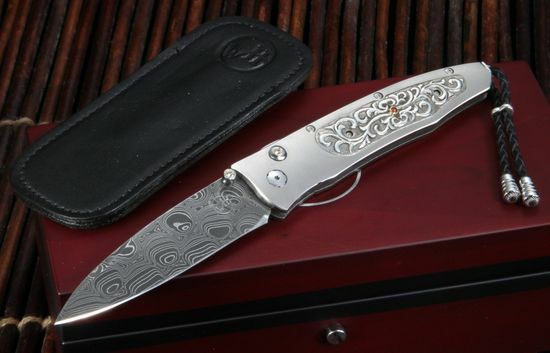 The William Henry B30 Tendril damascus folding knife is a blade that stands out among its peers. Its Damascus blade is 3" inches long, with an overall length of 7" inches. The steel itself carries the classic Typhoon Pattern Damascus by Rob Thomas. The handle is comprised of a aerospace grade titanium frame with inlaid sterling silver panels and white topaz set in the blade's thumb stud as well as the button lock. Sterling silver bale and a braided lanyard of beaded black leather finish the effect, completing a remarkable piece of workmanship. For ease of use, the knife ships with a black leather clip case for your pocket. These knives are limited numbered editions and only 100 are being made. Each is individually numbered and come in a fine wooden presentation box. 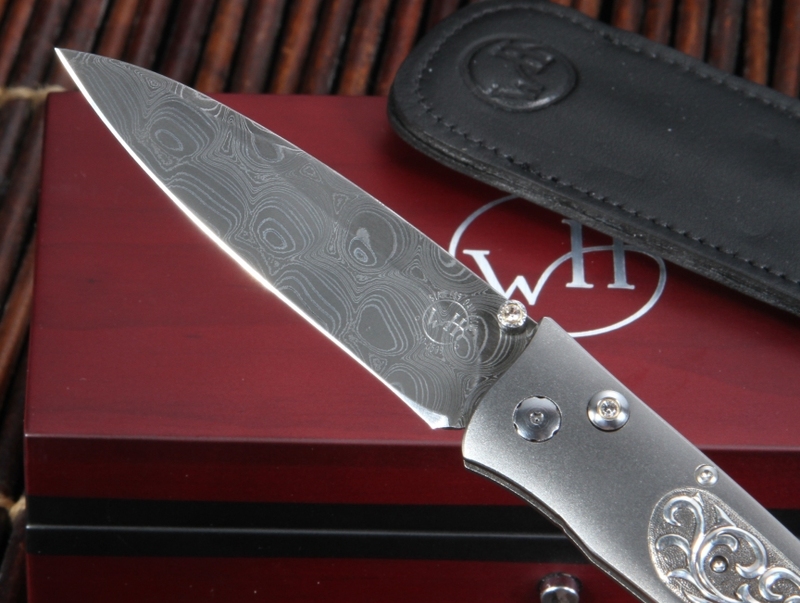 KnifeArt is proud to present the William Henry B30 Tendril as just one example of its carefully curated collection. 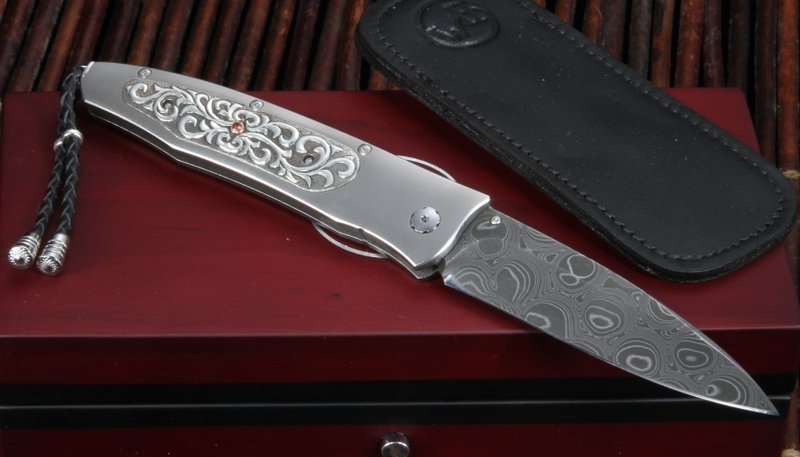 KnifeArt is an authorized dealer of William Henry Studios knives and offers free US shipping. Visit their online showroom at KnifeArt.com to see all they have to offer. 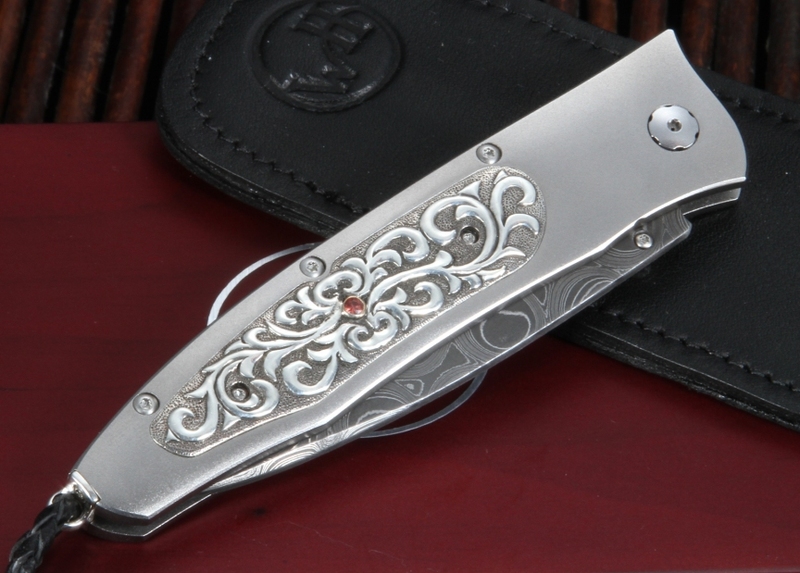 HANDLE: Titanium with a carved sterling silver inlay with sapphires.